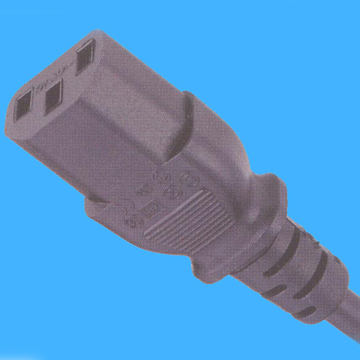 The ubiquitous IEC power cord has been a part of everyone’s life for almost 30 years. Nearly every device capable of running on different mains voltages and frequencies has one so the manufacturer can ship to different countries by simply changing the power cord to match the plug type used in that country. Great idea. Every device that needs an IEC cord comes with one from the manufacturer. When a device is no longer wanted and we dispose of it, we always keep the cord “because it might come in handy”. Thus, there should be an ever-increasing number of IEC power cords in the world. There should be billions of them in existence. After 30 years of this, even the most non-technical person should have at least 20 cords stashed in their closet. Yet this is not the case. When you need one, there’s none to be found. Search the entire premises and there’s not one unused IEC cord. How can this be? I’ve never thrown one away in my life. Do unused cords simply vanish? Do they automatically return to the manufacturer to be shipped to someone else? Do little gnomes steal them at night? Where are all my cords?